Sections of the club prove a dark, low-fat venison raw ham. It concerns here a speciality for all those which love game meat. 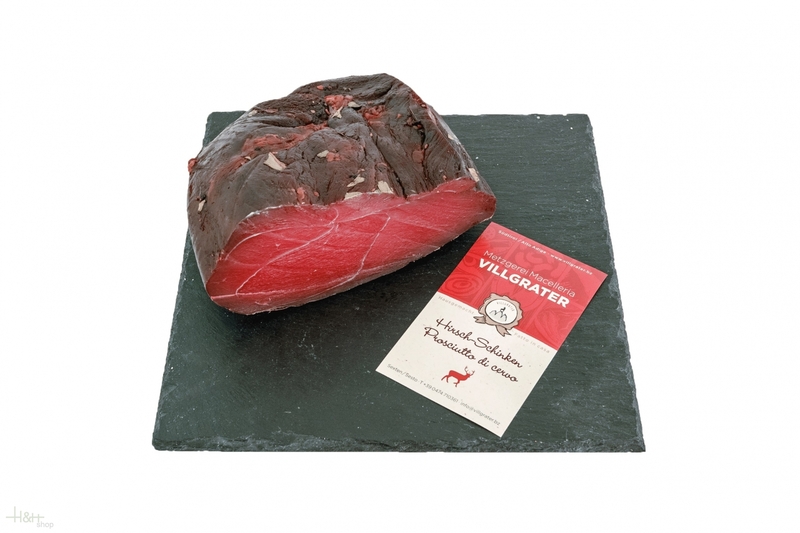 The venison raw ham Villgrater is smoked during the production drily salted and mildly. Home mountain herbs give him his fine spice. By the optimum storage the ham wins his soft consistency. Buy now this product together with Sarntaler bovine handle L. Moser approx. 300 gr. ready for shipment: in stock Sarntaler bovine handle L. Moser approx. 300 gr. Buy now this product together with South Tyrolean venison raw ham Villgrater whole piece aprox. 1 kg. ready for shipment: in stock South Tyrolean venison raw ham Villgrater whole piece aprox. 1 kg. South Tyrolean Salami Roe Deer type Villgrater approx. 240 gr. The South Tyrolean Salami Roe Deer type Villgrater is produced of 50% of Roe deer meat and 50% of pork, it is spiced on natural base and afterwards air-dried for several weeks. Farmers Ham appr. 700 gr. 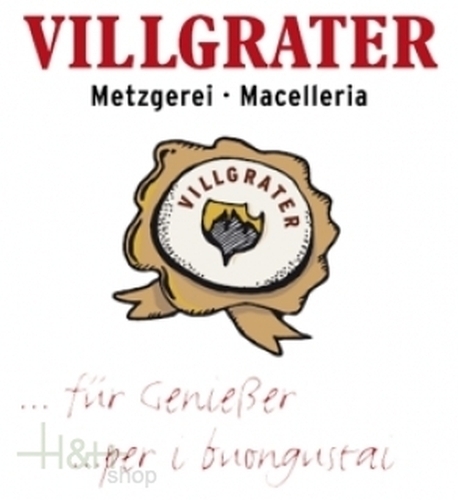 - À La Carte - Tiroler Schmankerl 22,40 EUR / 32,00 €/kg. Ham bacon 6 mo. ripened 1/4 vac. appr. 1.1 kg - Kofler Speck 16,45 EUR / 1,50 €/100 gr. Sliced Ham bacon vac. appr. 100 gr. - Kofler Speck 4,25 EUR / 42,50 €/kg. Farmers Ham appr. 1,3 kg. 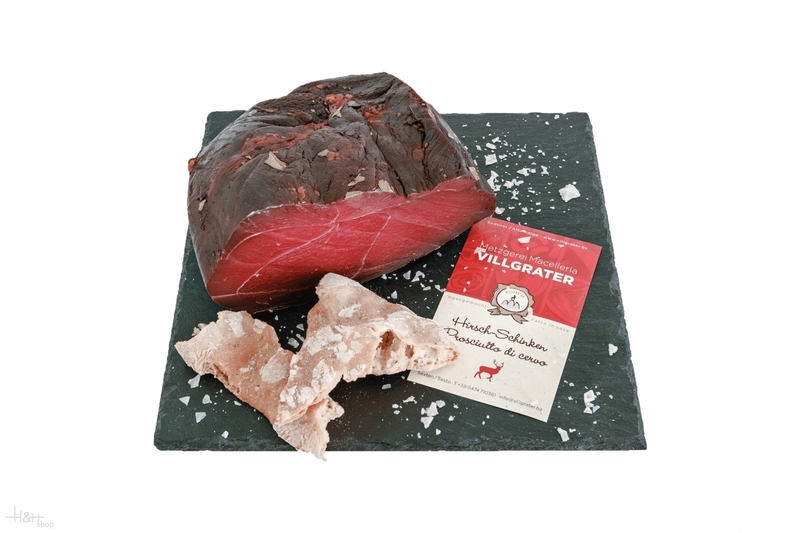 - À La Carte - Tiroler Schmankerl 35,90 EUR / 27,62 €/kg. Traditional Bacon Speck Bernardi Karl 1/8 appr. 500 gr. 12,60 EUR / 25,20 €/kg.